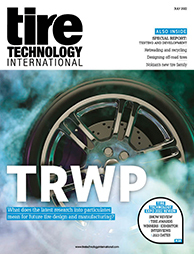 The innovative first-stage tire-building machinery that Marangoni has been developing will be the company’s focus at the 2019 Tire Technology Expo. The design aims for quality, repeatability and productivity with a number of features. The first of those is that different levels of automation can be implemented to deal with the most demanding cycle times and process specifications. In addition, the latest developments give fine-grained control of the process, without compromising on the complexity of the tire designs that can be manufactured. Thanks to the automatic finger ply down and bead setting with pneumatic or mechatronic controls, even the most complex designs can be realized. Using powerful simulation software, Marangoni can carry out accurate and customized bladder designs to benefit the quality of the turn-up process. Finally, different-sized tooling can easily be swapped in and out.